National Lobster Newberg Day is March 25! If you don’t already have it in your calendar, you might not know the dish. Lobster Newberg -- alternately spelled “Newburg” -- is lobster cooked in a base of brandy or sherry, heavy cream, butter, and egg yolk. The recipe was created in 1876 at New York’s own Delmonico’s by a sea captain named (plot twist) Ben Wenberg. The lobster was served as “à la Wenberg” until a falling out between Delmonico and Wenberg inspired an anagrammatic name change. 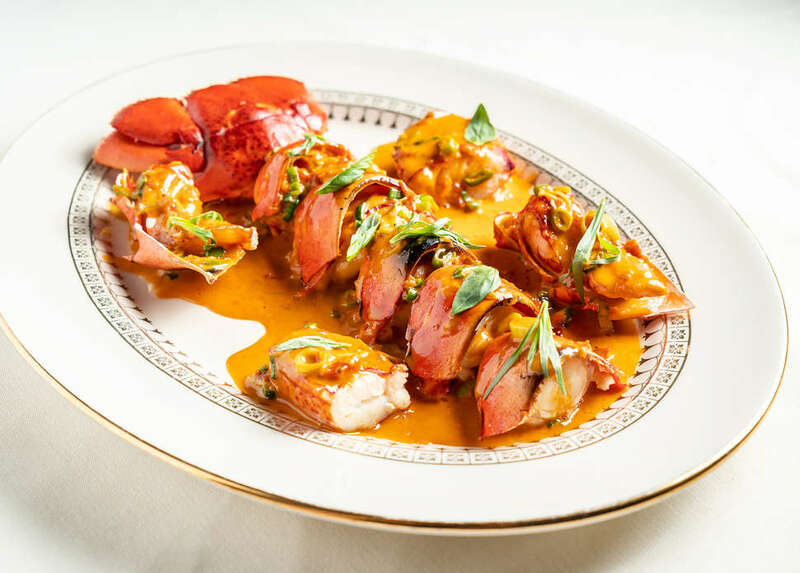 Lobster drenched with heavy cream fell out of fashion sometime in the last 143 years, making Lobster Newberg a rare find on menus around the city. Lobster Thermidor, a French dish, has similar ingredients -- cream, yolk, and brandy -- and offers the same decadent experience. 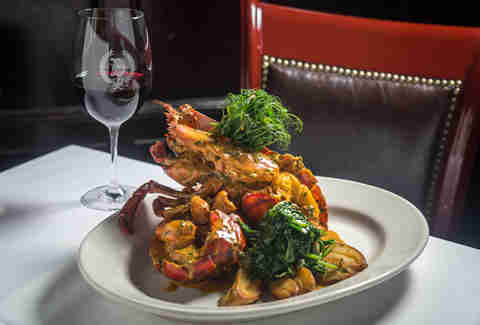 Whether you’re a Newberg fan, a Newberg newbie, or the ghost of Ben Wenberg hellbent on revenge, these are the five best Lobsters Newberg and Thermidor in NYC this week. Delmonico’s -- a restaurant older than both the Brooklyn Bridge and Central Park -- is a New York institution. At the home of the Lobster Newberg, the dish is made traditionally, with heavy cream, brandy, and egg yolk. If you’re not ready for the Full Newberg, Delmonico’s also offers a twist on their signature dish every season; currently, it’s the Lobster Newberg shepherd’s pie. If you still have room for dessert, go full 1800s and order the Baked Alaska (it was invented at Delmonico’s, too). Lobster Thermidor, much like Lobster Newberg, is made with heavy cream, egg yolks, and liquor, although it often comes with a crispy browned top of Gruyere cheese. Although Thermidor can’t claim to be created by a sea captain, it was invented in Paris to celebrate the opening of the play Thermidor in 1896. (People sure used to be fancy, huh?) Perry St. puts their French-Asian fusion spin on the traditional dish by adding shiitakes and spicy red Thai chilies. 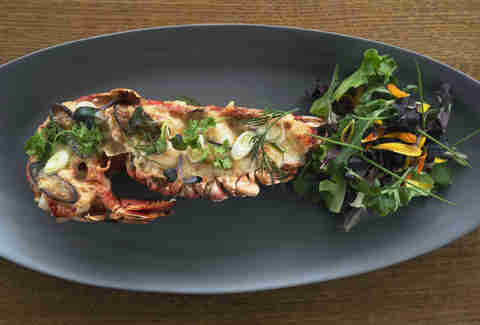 This take on Lobster Newberg is a little less classic. Served shell-on in small pieces, so it’s easier to eat, this Newberg sauce pulls back on the classic cream and pumps up the tomato flavor. (While Wenberg’s recipe called for no tomato at all, many modern iterations contain at least a taste of it.) It’s no surprise that The Grill, fashioned as a callback to the luxuries of yore -- trolley service included -- does justice to the decadence of the dish. ZAVŌ, a mediterranean restaurant and lounge, has a two-pound Lobster Thermidor on their Prix Fixe dinner menu -- for an extra $35, that is. Although they keep the classic cognac cream sauce, they swap the Gruyere for a nutty Grana Padano and add wild mushrooms. If you really want to make Ben Wenberg proud, order the lobster bisque as your appetizer. I doubt the waiter will stick a lobster claw in your Death by Chocolate Cake, too, but it never hurts to ask. Olmsted offers the city’s most surprising take on Lobster Thermidor, transforming the traditionally fancy, fussy dish into something fun and accessible. 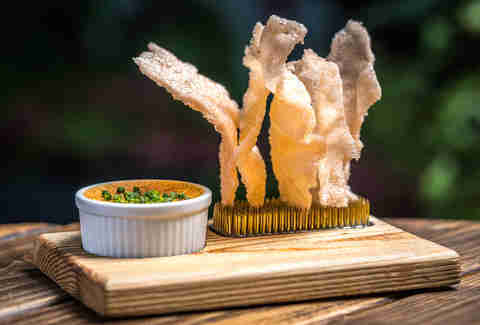 First, they alchemize the lobster into a cracker with a crunch most reminiscent of a pork rind. 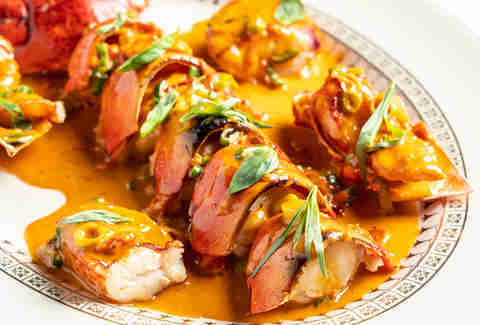 Then they serve the lobster cracker alongside a Thermidor sauce rich with brandy and Gruyere cheese and cream. It’s a joy to eat, easy to share, and -- perhaps most importantly -- it doesn’t cost $100.